Dave Lory, former Jeff Buckley manager, on camera last week talking about his time managing the ’90s almost-megastar. A WPU Music Biz class is working the book’s social media and arranging an author tour for Lory. Our next, and last 2017 Music Biz 101 & More radio show, takes place on Wednesday at 8pm and will feature the Rocktober Music Biz 101 & More Live! event that took place on the William Paterson University campus. Guests included Paul Rizzo, from The Bitter End, John Boulos, from Atlantic Records, Karissa Keller, from Columbia Records, Stephen Dallas, from Warner/Chappell, and Don Nottingham, formerly of the successful a capella act Straight No Chaser. Listen to all of our on-demand podcasts HERE. 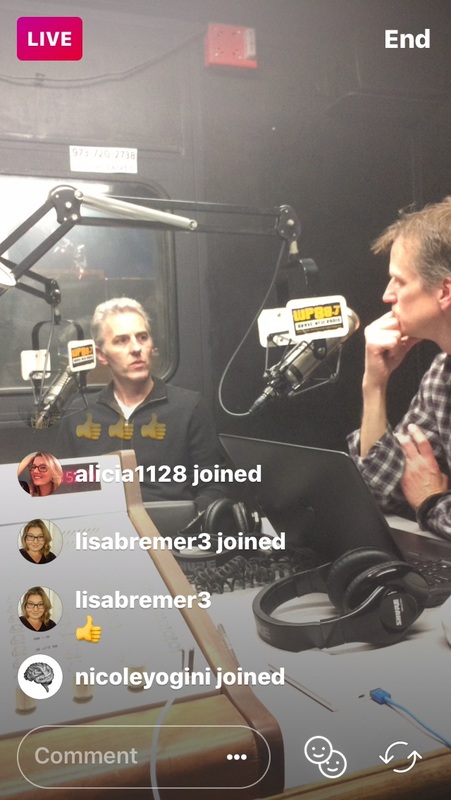 Meanwhile, we Livestreamed last Wednesday’s radio show on Instagram. Follow our page HERE so you can see pics like the one below move. It’ll practically be like the movies! This was the biggest purchase/merger in entertainment industry history. If you missed it, climb out from under that rock and click on THIS ARTICLE. You should understand why this happened. This is a very good interview with Amanda Palmer. If you don’t know who she is, she was the first artist to conquer Kickstarter. And she’s moved on from there into new crowdfunding territory while creating music very far from the mainstream. Click and read the opinions of this very strong, and smart, woman. Things to learn: 1) German charts are based upon revenue, not sales or streams. 2) They beat U2 by a 6:1 margin. 3) There’s a genre of music called “Battle Rap.” 4) Old guys like me can learn new things too. Click and read. Net Neutrality was overturned last week. While it is a political issue, and we try to not take sides here, this article gives a good understanding of the issue. Why should you care? How do you get your music? The internet. And you upload your music to? The internet. Therefore, you care. FOX News believes Net Neutrality’s end was a good thing. Read THIS to understand the reasoning that they’re reporting. Keep scrolling down. There are some tips for fledgling managers AND a great podcast of the week. What is the single most important aspect of the music industry an artist manager needs to understand? Angelica’s response? A thumbs up. In this episode, Ariel Hyatt of Cyber PR talks about how publicity has changed in the digital age, what DIY artists need to think as they try to create their social media “voice,” and how publicists can turn into artist managers. Click and listen for some PR 101. Music Biz 101 & More Podcasts: Stream Us 24/7 – Here’s Who’s Coming Up Soon! December 20 – Music Biz 101 & More Live! After that? No new shows until January 31st due to WPU Hoops. Go Pioneers! 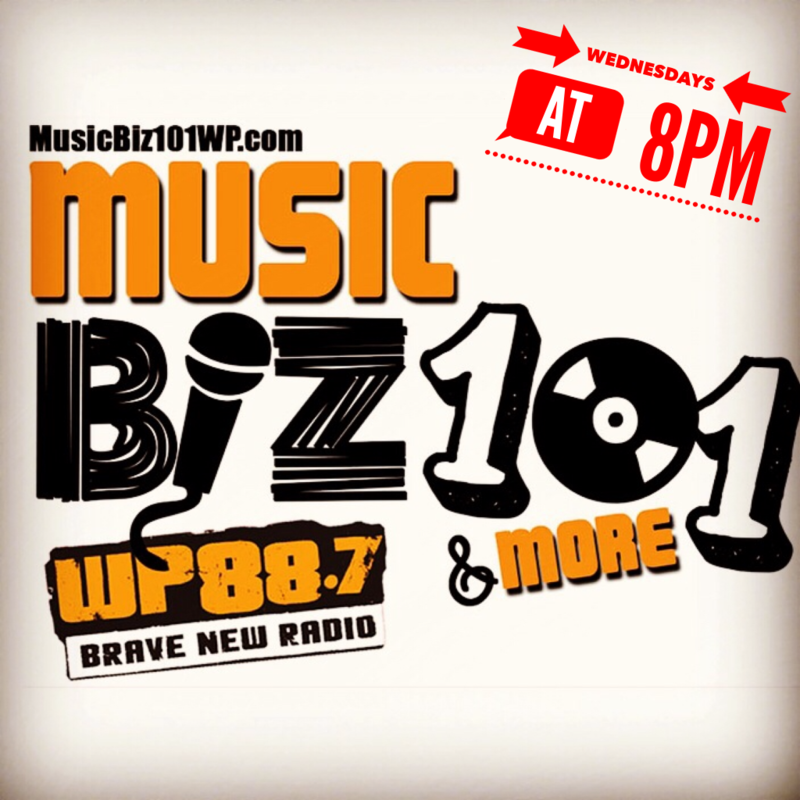 NEXT POST Next post: Music Biz 101 & More Live! – This Week’s Radio Show! !